The Musee de la Vie Romantique, set in a hidden garden in the 9th. Nurse kept her feet up today, so I did a walking tour of the 9th arrondissement, specifically to visit the Musée de la Vie Romantique, just south of the infamous Place Pigalle. Built in 1830 in a new neighborhood that attracted artists and writers, the museum was the home and studio of artist Ari Scheffer who hosted the gliterati of his day. George Sand, Delecroix, Rossini, Lizst and Charles Dickens were regular visitors to his Friday evening salons. Scheffer’s descendents gave the building to the City of Paris. By happy coincidence, novelist George Sand’s family left the City her personal belongings. 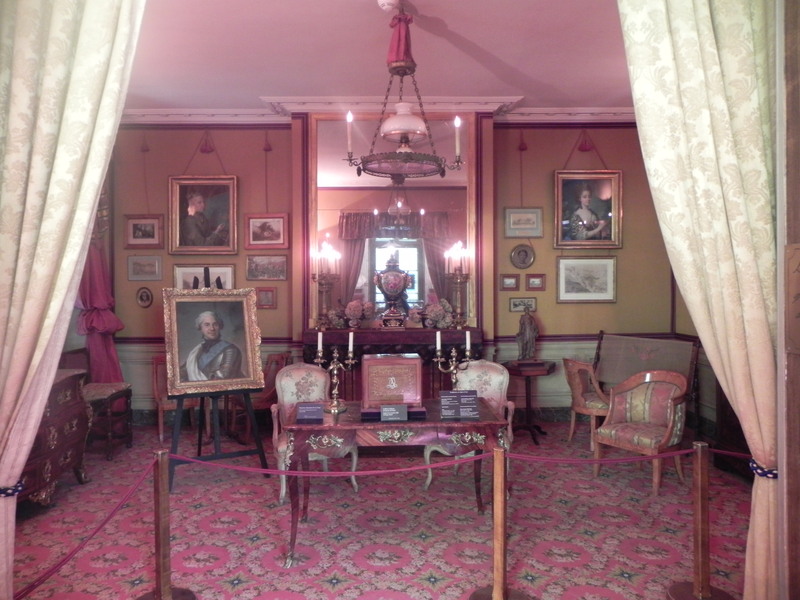 (George Sand was the masculine pen name of the very feminine Aurore Lucile Dupin) The reproduction of the rooms and placement of Sand’s objects is painstakingly authentic to the era, which makes this an evocative experience. 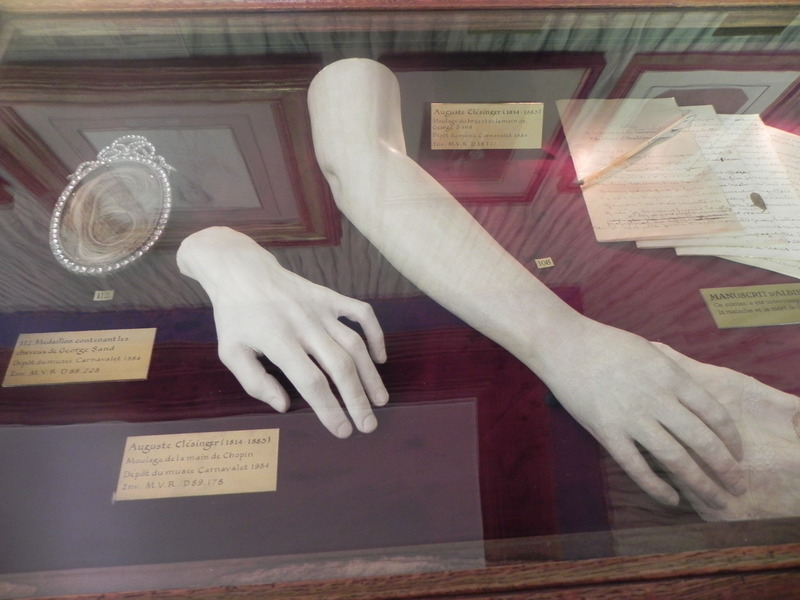 BTW, Chopin’s hand is barely larger than my own (non-musical) hand. 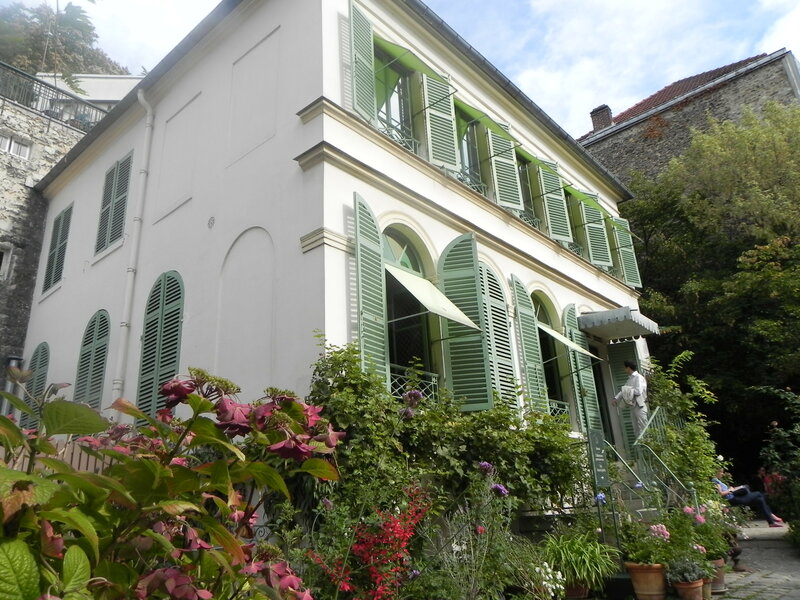 Chopin and Sand lived not far from here in the Place d’Orleans – in separate residences. It was a stormy relationship and Chopin died penniless in 1848, two years after their breakup. Alas, Chopin was one of many. Miss Sand did her part to uphold the fine french tradition of “cinq à sept” (extramarital affairs) by conducting them with many of the musical and literary greats of her time. The rooms are comfortable and homey. The chairs are quite small. And pictures are hung from the crown molding by ribbons. This could be a decorating touch chez moi. And maybe even the lock of hair… but I digress! The museum is a restful venue in the hectic Pigalle neighborhood and I recommend it. 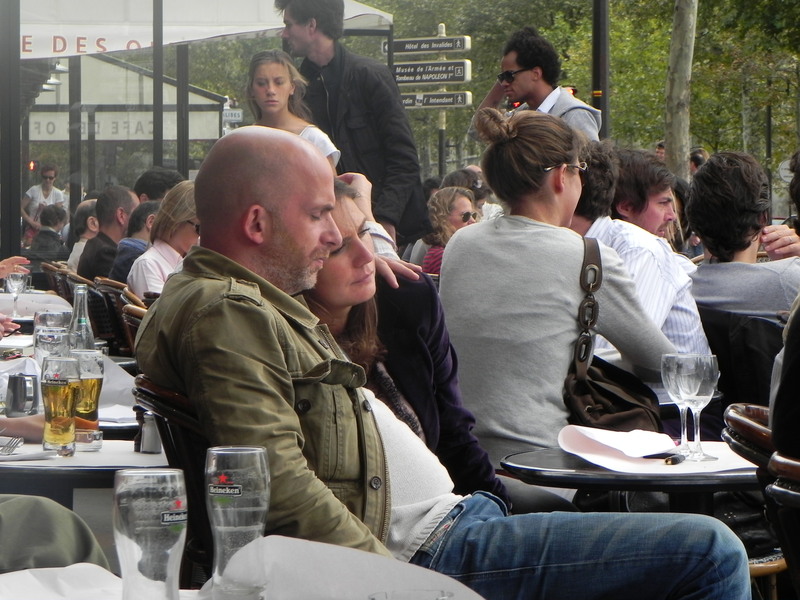 La vie romantique is alive today – especially on the cafe terraces of Paris. This entry was posted on October 3, 2010 at 3:36 pm and is filed under Paris Museums. You can follow any responses to this entry through the RSS 2.0 feed. You can leave a response, or trackback from your own site. Julie – I too love your blog! Happily reading and viewing your delightful time! I was jealous just knowing you were there. Now I am more envious as I see and hear of your adventures, but also happy to feel connected to the experience. So, on the 7 yr plan – how to get this to be a paying opportunity?!? Keep the updates coming. Stepen – go for the wildly successful businessman – but I suspect Cornelia will have something to say about the “nieces”. Dying for more!!!! Keep writing! Yoko approves!!! This is a great blog. Thanks for sharing your adventures. Thanks for all the comments. I am seeing things differently on this trip, thanks to the blog. I like to find everyday aspects to highlight and I will continue to embarass myself and Nurse capturing the ordinary!